Anyone who is anyone in e-commerce and global trade is talking about China. With the world’s largest population and a 21% share of the world’s internet users, China has a habit of obliterating records when it comes to online spending. Last year on November 11, Alibaba notched a jaw-dropping USD $25.3 billion in just 24 hours of flash sales. In comparison, consumers in America spent USD $3.54 billion online on Black Friday. While China’s sales numbers make the headlines in Forbes and Business Insider, doing online business in China is all about understanding the fine print. In this tutorial, we discuss the details and tactics of search engine optimization (SEO) for China the organic way—without paid advertising. Search engines are a key channel to reach China’s 721 million online users and attract traffic to your website. First, though, you need to understand the local search players. Foreign search companies, such as Bing and Yahoo!, have a negligible share of the China market, and Google’s search portal is inaccessible inside mainland China. Meanwhile, local search companies such as Baidu (which enjoys a ±77% market share), 360 (8%), Shenma (6.9%), and Sugou (4.6%) dominate the China market. Due to their visual aesthetics, Chinese search engines can be deceiving at first look. They resemble Google, Bing, and Yahoo! with a similar user interface and array of search filters. But behind their visual similarities lie complex algorithms that instantly identify if your site is relevant for China. This includes knowing whether your company is registered in China. How do search engines know if you have a Chinese business license? They can discern this information from crawling your website’s footer. Corporate websites approved by China’s Ministry of Information and Industry Technology (MIIT) display what is called an ICP registration number in their site’s footer. To apply for an ICP license for a corporate website, applicants must have a physical presence and registered business entity in Mainland China. Unfortunately, this doesn’t mean you can rent a serviced office in Hong Kong and apply online for a business number. Overseas companies must establish legitimate business operations in mainland China (not Hong Kong), including a payroll, an office address, approval from the local authorities, and meet on-going operation requirements. Only when a company is registered in China can they apply for an ICP license. For companies that wish to engage in e-commerce and accept online payments in China, there are also other ICP license requirements and a Commercial ICP License is required. Obtaining an ICP license is paramount to maximizing your search visibility in China. Hosting on a local hosting provider informs the search engines that your site is approved and relevant to China. In addition, your website will load faster and this has a positive impact on user experience, which search engines account for in their page ranking algorithm. What if I Can’t Host in Mainland China? Due to the financial and administrative requirements of operating a business in China, registering a commercial entity in China for the sole purpose of boosting your search rankings is not a recommended strategy. Organizations ineligible for an ICP license should focus on other SEO factors such as load speed. Outside of the mainland, the next best option is to host in Hong Kong. Hosting in Hong Kong offers a stable connection to the mainland, minimizes latency between your server and end-users in China, and importantly, doesn’t necessitate ICP registration. Also on the plus side, hosting in Hong Kong tends to be more cost-effective than hosting in Japan, Korea, and Singapore. Mobile SEO in China is extremely important. As PwC reported in their Total Retail 2017 Survey, 52% of consumers in China buy online using their mobile on a weekly or daily basis, as compared to 14% of consumers globally. In regard to mobile SEO, the biggest tripping point for foreign websites is not registering a mobile sitemap. The good news is you don’t need a special license or a locally registered business to complete this step. The trick is taking the time to register both a mobile and desktop sitemap with the major search engine providers. Unlike their Western counterparts, Chinese search engines don’t have the same sophisticated technology to detect and index mobile web design. This being the case, site owners should upload two separate sitemaps to Chinese search engines in order to be properly indexed: one sitemap for mobile and one sitemap for desktop. The format for submitting a mobile and desktop sitemap should be XML and can be submitted through Baidu Webmaster Tool. However, don’t expect the same results with Baidu as Google. If you have 1,000 web pages on your site, Google may only take a few days to index your site. Baidu, however, might take 1-3 months to index your full site. Chinese SEO experts counter this slow wait time by adding an HTML sitemap to the website footer, which is crawled separately by the likes of Baidu. This can provide a big help in ensuring your website is fully indexed. Submit Chinese sitemap to Baidu Webmaster Tool to reach Chinese-speaking audience in China. Submit English sitemap to Bing to reach English-speakers searching via Baidu. Submit English and Chinese sitemap to Google for users searching outside of mainland China, including Taiwan and Hong Kong where Google is available. Chinese search engines have the same goal as Google, Bing, and Russia’s Yandex; and that is to display relevant web page content to users and reward quality content. Important factors include keyword density, URLs, friendly backlinks, bounce rate, and time-on-page. Let’s examine them one by one. High value search terms are vital to any SEO strategy and China is no exception. This includes in-depth keyword research and adding keywords to your metadata descriptions, title headings (H1 tags), and subheadings (other H tags). You should also avoid keyword-stuffing as this is likely to penalize your site. The optimal keyword density is approximately 4% per page. Much of your keyword research will take place in Chinese, including navigating the search tool interface. Having a Chinese speaker on hand is definitely recommended! Baidu Yinxiao: equivalent to Google Keyword Planner, can be used to gauge keyword competitiveness, search volume, and for keyword idea generation. 5118: useful independent keyword research tool. Baidu Index: equivalent to Google Trends, can be used to find large macro keyword trends. Baidu Trends for Keyword "UGG"
A big question for site owners is “should URL permalinks (the unique page information after your domain name, such as category and page name) also use Chinese characters?” Strangely enough, Pinyin (Western romanization of Chinese characters) is the way to go for URL links. Whereas Google can return websites in their search results with Chinese characters in their URL, Baidu still relies on Pinyin. Backlinks in China have experienced a similar rollercoaster of algorithm changes to the West. Buying a high volume of links that directed to your site was rife a few years ago—and still is—but Baidu’s rules have since changed. In 2016, Baidu announced algorithm rule changes regarding backlinks. Rather than allocate positive SEO juice to sites with backlinks from all external sites, Baidu now prioritizes friendly backlinks. Friendly backlinks are links that originate from websites relevant to your site’s content or those from the same industry. For example, backlinks from gaming sites to your e-commerce site selling fresh food would probably not qualify as a friendly link in the eyes of Baidu. Backlinks from food blogs, on the other hand, would. If the definition of “friendly” seems vague and fuzzy, that’s because it is! In any case, use common sense to build link relationships with relevant websites and stay well away from irrelevant websites involved in questionable business activities, such as online gambling. Another popular backlink strategy in China is to partner with other websites and share footer links. Again, friendly links are the most viable strategy. Note: penalties apply to websites that include 30 or more links in their footer. Other recommended backlink strategies include adding keywords in anchor text (hyperlinks) and to pursue quality over quantity. This means focusing on backlinks from high authority sites. “No-follow” links, most often from social media platforms, also apply to China and add no value to your site’s SEO juice other than bringing additional traffic to your site. Focusing attention on your content and user experience is a key way to improve time-on-page and to reduce bounce rate. Multimedia content is extremely popular in China and vital to engaging Chinese users. In regard to optimal time-on-page and bounce rate metrics, there’s no defined benchmark for the purpose of search engine optimization. SEO is a game of comparative advantage and whether your bounce rate is 90% or 50%, the key is how you compare with your competitors. Your website will fare better on these two SEO metrics if you stay ahead of other websites competing for the same keywords. Time-on-page and bounce rates tend to take a hammering in China due to a couple of different reasons. One is that China is a mobile-centric market and users can be easily distracted. The second is the prevalence of machine-generated content on Chinese websites. The bounce rate for websites in China, therefore, is often 80% or higher. As always, providing quality content is a simple rule to push ahead of the competition. But you’ll need to move fast because the quality of content marketing and thought leadership in China is on the rise. Social sharing is the quickest way to reach an audience in China and companies are recognizing this. Good content creators, including individuals and agencies, are henceforth seeing more demand for their work. To optimize your website for China, you may need to call on a range of professional service providers to assist with content writing, translation, and keyword research. This leads us to the final section of this article and the all-important language factor. Outside of special cases, always opt for Simplified Chinese characters. While Baidu introduced English-language search results back in 2011 through a partnership with Bing, Chinese characters remain the dominant choice for Chinese netizens to search and read online information. Next, note that plural and singular keyword strategies don’t work in Chinese. While search experts in the West know that “hotels in London” and “hotel in London” indicate vastly different stages in the customer decision/purchasing cycle, plural search terms in Chinese are virtually redundant. When a Chinese user is searching for inspiration and aggregated content/reviews for hotels in Hong Kong they’ll search in Chinese characters for “Hong Kong hotel” (香港酒店). When they are ready to book a hotel in Hong Kong they’ll also search for “Hong Kong hotel” (香港酒店). Moreover, this means there’s more competition for keywords in the Chinese language than there is in English because of fewer search variations. Although it’s possible to install dynamic Chinese translation to convert existing content from another language when users with a Chinese IP address visit your website, this makes it impossible for Chinese search engines to index the Chinese version of your site. Investing in the professional translation of your content is the only way to go. While some website owners opt to add a subdomain to their existing website to host Chinese-language content, it’s better to have a stand-alone site designed for users in China, including Chinese social media integration and design aesthetics. Competition in China is fierce and while local search engines won’t penalize you for hosting content on a subdomain, you will be handing your competitors an opportunity to one-up you with a top-level domain site which carries more weight from an SEO perspective. WordPress users may be familiar with the plugin Yoast, which is a popular SEO tool for websites to meet SEO guidelines set by Google. Yoast can also be used for configuring your China website meta information, but keep in mind that the logic of this plugin is to rank high on Google and not on Chinese search engines. Baidu, for example, allows 70 Chinese characters for a meta description and 20-30 characters for the page’s title. And while permalinks generally use Pinyin, Chinese characters are a must for your site’s meta descriptions as they will be displayed not only to the search engine crawlers but also to end-users on the search results page. Search engine optimization is a complex art and there are always more new techniques to optimize your site for search visibility. Site owners who understand the fine details of search optimization in China and who invest in the right resources to implement their strategy will be well placed to gradually outpace their international peers and compete with local competitors for search supremacy. As a foreign entity approaching the Chinese market, hosting on a server located in the mainland should be a top priority, but Hong Kong is the next best option for organizations that are ineligible for an ICP license. The next steps are to enlist a first-language Chinese speaker to design a keyword strategy and develop your site content in Chinese. You may also need to consider bringing in a specialist agency to help with keyword optimization and paid search engine marketing (SEM) to give your site a boost in the short-term. Organic (non-paid) SEO is a long-term play but an absolute must to maximize your reach in the world’s largest consumer market. With all that said, I hope you’ve learned plenty from this article, and if anything still confuses you please feel free to leave your comments and questions below. 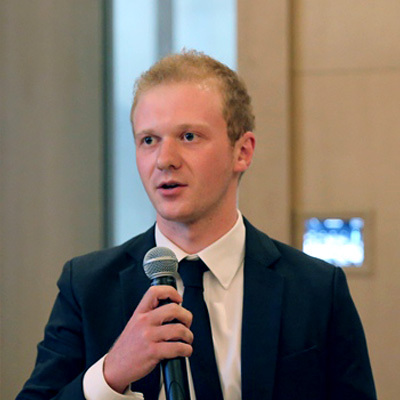 Olly works in Hangzhou China and is enthusiastic about entrepreneurship, e-commerce, Asia education, tech and foreign languages. Olly is a graduate from RMIT University and the Hopkins Nanjing Center for Chinese and American Studies. Olly speaks Mandarin and Korean.